"Kissing Baba" claimed to cure women's physical and psychological problems with his "Chamatkari Chumban" or "miraculous smooch". 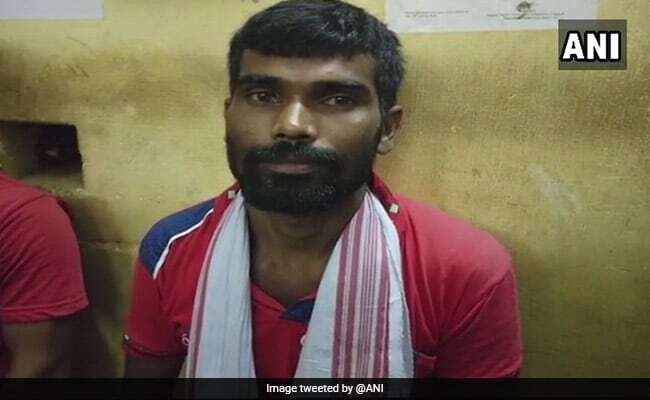 "Kissing Baba" claimed to cure women with his "chamatkari chumban"
His mother had also spread rumours about her son's "therapeutic powers"
A self-styled godman who hugged and kissed women on the pretext of curing their problems has been arrested in Assam's Morigaon. Ram Prakash Chauhan aka Kissing Baba was arrested on August 22 from Bhoraltup village. He claimed to cure women's physical and psychological problems with his "Chamatkari Chumban" or "miraculous smooch". He claims his "supernatural powers" are acquired from Lord Vishnu and he can cure any woman seeking help on marital issues. He even had a temple in his house where he would "cure" women. He started this "treatment" a month ago and it is supposedly a ploy to exploit rural women who were superstitious. He had earned quite a reputation in the village but he was not revered. Morigaon has been a believer of black magic for centuries. Chauhan's mother had also spread rumours about her son's "therapeutic powers". She is being interrogated by the police. Morigaon district has a number of faith healers who claim to be "blessed" by Lord Vishnu. Literacy rate in Morigaon is lower other districts of Assam, because of Mayong - a black magic village where scores of ojhas have practised black magic for ages.